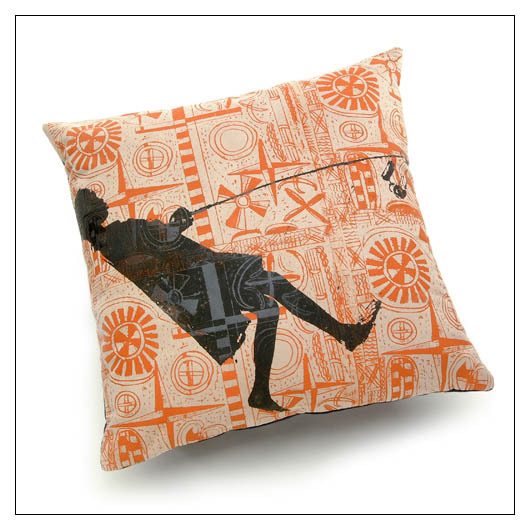 Pillow - Girl Walking (CO-GWLK) at Pure Design / Accessories / Pillows ::: Furniture for the Home, Office, Home Office, and More at Pure Design Online! Silk Screened graphic by Michael Roman on a washable passion suede with a polyester fill. Although this item is currently sold out, one or more versions of this product are available at a significantly discounted price on the Pure Design Basement site. Note that items from The Basement often have cosmetic flaws of some sort, and are not returnable. See The Basement site for complete details.